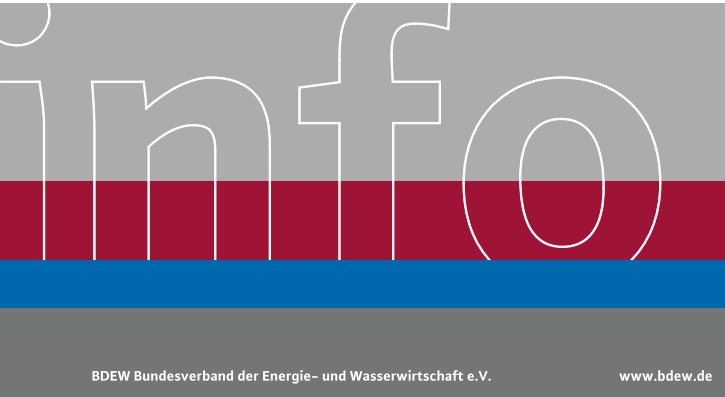 Electricity consumption in Germany was down by 0.5% in 2011 at 607 billion kWh compared with 610 kWh in 2010, while generation was down 2.5% at 612 billion kWh year-on-year (2010: 628 billion kWh), the Federal Association of the Energy and Water Industry (BDEW) informed based on preliminary figures. The comparatively favourable economic situation in Germany supported demand, the industry association said. On the other hand, demand and thus supply were affected by the mild summer and winter. Besides lower exports lead to the decline in generation. BDEW did not go into further detail on the shutdown of eight nuclear power plants in connection with Germany’s energy policy shift last year and the related loss of generation capacity which also sparked fears about network stability. In line with forecasts by the Working Group on Renewable Energy Statistics (AGEE-Stat) for the Federal Environment Ministry and its own earlier predictions, BDEW said renewable energy sources accounted for approximately 20% of the electricity production. The association confirmed reports about December 2011 being a record month for wind power, saying 8.5 billion kWh were generated. This figure is even higher than the 7.94 TWh reported previously. In any event, December 2011 was the most productive wind month since the technology was introduced in Germany. However, there had been a downside with regard to grid stability. On 8 and 9 December Germany had to rely for the first time on electricity imports from Austria to ensure network stability. 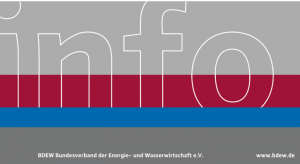 In view of system stability and predicted costs of EUR 14 billion for renewable energy sources in 2012, the association reiterated its demands for grid expansion, a stronger contribution by renewables to the functioning of the German energy system and a further market integration (in Germany renewables are promoted by the Renewable Energy Sources Act – EEG and receive fixed feed-in tariffs). BDEW called the market premium introduced with the 2012 amendment of the EEG a step in the right direction. The market premium is paid to producers of green electricity that market the electricity themselves. Instead of receiving the fixed feed-in tariffs paid under the EEG, they can claim the market premium in addition to the revenue obtained by the sale of the electricity. It is calculated as the difference between the EEG feed-in tariff and the monthly ex-post average price at the energy exchange and also comprises a management fee. With regard to the management fee, the market premium has come under criticism lately. Wind power producers in particular seem to make use of the new possibility. The market premium figures are still in line with previous forecasts, BDEW said, pointing out the management fee was reduced annually pursuant to the EEG. Besides, it should set an incentive for direct marketing and covered costs that previously were incurred by the transmission system operators, the association said. Yet, it announced to monitor the market premium closely and provide input to the ministry regarding amendments if necessary. Log in | 75 queries. 1.151 seconds.